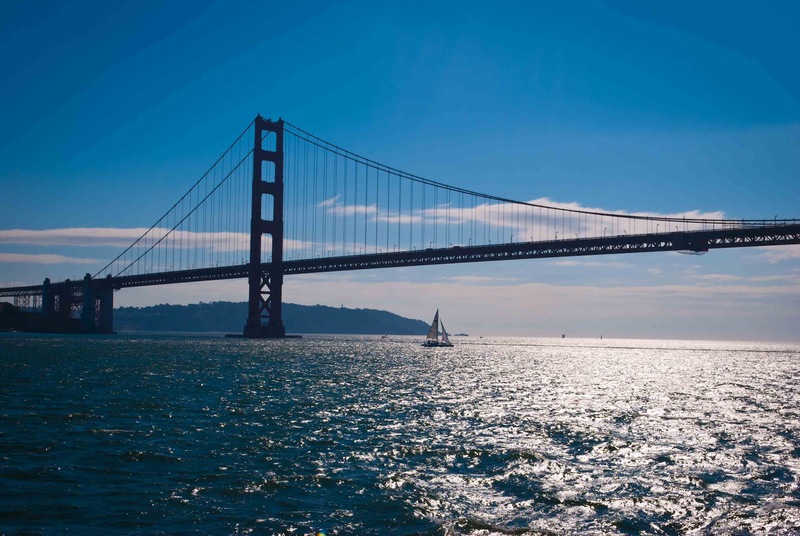 Head out past the Golden Gate for some whale watching. I've been slacking off lately on California Traveler as I have a few other projects I've been working on, but will be posting a few things int he next coming days. To get started, I found this deal on Groupon for a SF Bay Whale Watching tour. If you want this deal, though, you need to act quickly as it ends today. For $125 you get a 50% discount on a whale watching tour for two good through July 31, 2013. You need to make a 7-day advance reservation for the tour. This is a really good deal, because the whale watching trip is a day-long affair, lasting from check-in at 7:30 a.m. to your return between 3-4:00 p.m. Whale watching trips take place on weekends and holidays. I think this would be a fantastic adventure whether you live in the Bay Area or are a visitor to the area. You take a trip 27 miles offshore to the Farallon Islands. You will be in the waters of the Gulf of the Farallones National Marine Sanctuary, which are home to twenty-six federally listed endangered or threatened species. This is a unique opportunity to experience a different side of nature, plus the opportunity for whale watching. Some whales and dolphins can be sited year-round in this area, but there are several whales who have certain migratory seasons. Blue whales can be seen from July - Octobers; Humpback whales cane been seen from July - November; and, Gray Whales can be seen from October - January. So, I hope you can take advantage of this deal. I wish I could, but I don't know when I'll be able to get to California next. So, let me know if you do this, I'd love to hear from someone who has actually done it. A better place for whale watching is Mendocino, where you have the best views and do not have to battle with crowds. Check http://blogs.zaranga.com/2013/01/10/whale-of-a-time/ for more information. Thanks for the info. I haven't been to Mendocino yet, but it is at the top of my list.